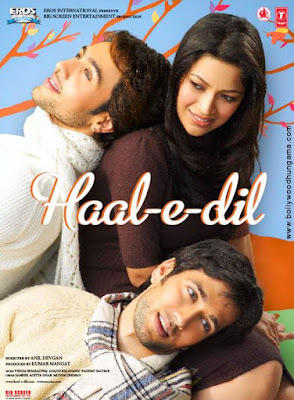 Haal-e-Dil is about the same neurotic madness that one suffers from when stuck in the maze called love. It's a young love story of people who'd go any lengths to loose themselves as smoke loses itself to the sky. They'd go any lengths to fuse that they'd not know where one ended and another began. Sanjana suddenly discovers herself in the crossroad of life where she has to choose between her perfect love and a perfect stranger. What will you do when you find yourself falling for a man who is completely wrong for you and what if you are already in love with someone else? Haal-e-Dil is about ordinary people about to do extraordinary deeds in the name of love.